Even with the growing popularity of the gluten-free diet, many people continue to have questions about gluten and gluten grains. This isn't surprising, since even the basic facts about the protein gluten and the grains in which gluten is found (wheat, barley, and rye) can be pretty confusing. Also, there's a significant amount of misinformation out there, which only adds to the confusion. Therefore, it's not surprising that many people can't really define gluten, even if they're actually following the gluten-free diet. 1) What Is Gluten, Anyway? Gluten is a protein found in the grains wheat, barley, and rye. It's found exclusively in the seed of the plant, which is the part of the plant we grind up to use as flour. In people with celiac disease, gluten in wheat, barley, and rye triggers the immune system to attack the small intestine, causing serious damage and usually a cascade of nasty symptoms, including digestive symptoms, neurological problems and even bad skin rashes. In people with non-celiac gluten sensitivity, meanwhile, the gluten protein seems to cause a variety of unpleasant symptoms but potentially no real damage to the body. 2) Which Grains Contain Gluten? This is a tricky one, and it's the root of some misinformation that's out there on gluten. The truth is, botanists, use the term "gluten" as a generic term meaning the proteins that store the energy in the seed for that seed to eventually grow and become a plant. All grains contain storage proteins; therefore, all grains contain some form of "gluten." However, in the food industry, the term "gluten" means only the gluten storage protein from the grains wheat, barley, and rye. It's only the gluten found in wheat, barley, and rye that bothers people with celiac disease or gluten sensitivity. You might see the term "corn gluten" on certain ingredients lists. Corn is free of the problematic type of gluten, and corn gluten shouldn't be a problem for people who have celiac disease or gluten sensitivity (although it's possible to also be allergic or to have a sensitivity towards corn). 3) Which Grains Are Safe in Celiac and Gluten Sensitivity? There are plenty of them! Rice and corn are gluten-free grains (just make sure to get packages that are explicitly labeled "gluten-free" to make sure you don't get any with gluten cross-contamination, which is common because farmers use the same equipment to harvest and store gluten grains as they do with non-gluten grains). You also can use amaranth, millet, quinoa, sorghum, and teff (again, choosing gluten-free-labeled packages). You may find a whole new world of culinary surprises once you start trying different grains. Nope, not at all. Spelt actually is a species of wheat, even though in many cases it's labeled "spelt" and not "contains wheat." There are several other grains that fall into this category, too, such as freekeh, which is young, green wheat that's gotten a bit trendy. Steer clear of all these forms of wheat. 5) Is Ancient Wheat Gluten-Free? 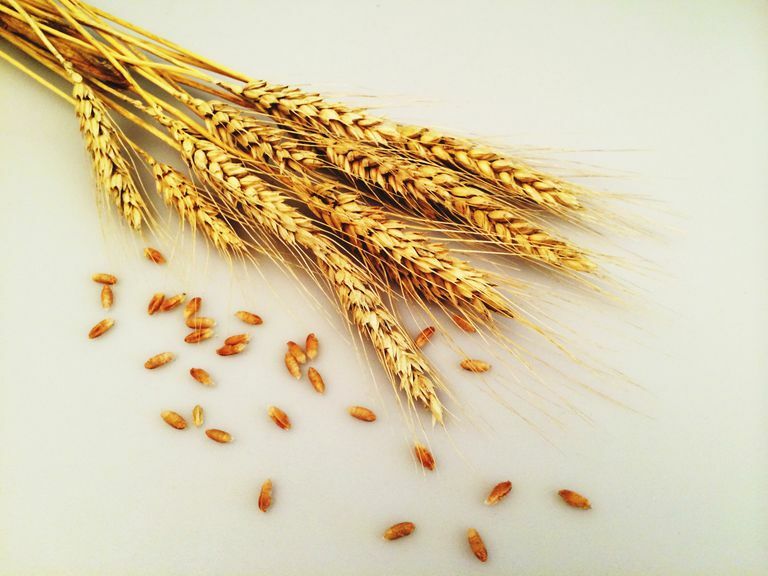 Although I've run across people with celiac disease and non-celiac gluten sensitivity who say they can consume Einkorn wheat and other forms of ancient wheat without getting glutened, medical studies have shown that these grains have some gluten in them. Therefore, you should steer clear of breads and cereals made from these ancient grains. Despite its name, buckwheat is not wheat—in fact, it's not even a true grain. So yes, buckwheat products should be fine, provided they're labeled "gluten-free" (buckwheat can be very cross-contaminated with gluten, which makes certain brands unsafe for us). 7) Are Oats Safe If You're Gluten-Free? When you're learning how to eat gluten-free, it may seem as though there are more foods off-limits to you than foods you can eat. However, there are plenty of delicious foods, including grain-based foods, that are naturally gluten-free. You may find you've expanded your tastes and are enjoying foods you never would have tried before.